Hey guys. 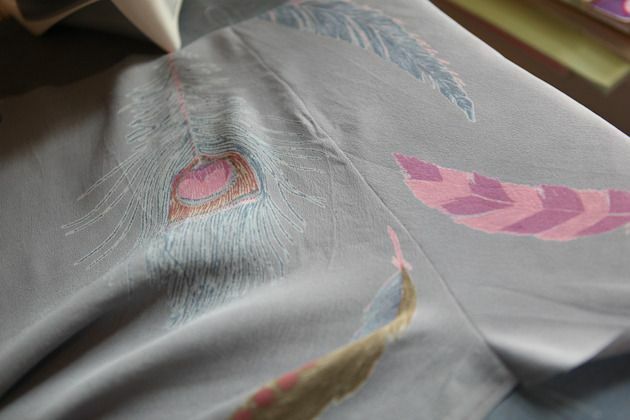 Thanks so much for everyone who sewed along and read along with the Roscoe Blouse and Dress and Sewalong last week. I know that sewalongs can get long and redundant, but I feel strongly that one of the biggest perks of sewing indie patterns is the extra guidance and help that you get so I am a big fan of providing sewalongs with you. If you would like to access all of the posts for the sewalong you can do so by clicking here or by visiting the sewalong tab at the top of the page. I finally got around to photgraphing the two Roscoes that I sewed up during the sewalong. I used view B – the mini dress/tunic – for most of the sewalong as the instructions are exactly the same for view B and C. I also sewed up View A – the blouse -to interject into the instructions when needed. 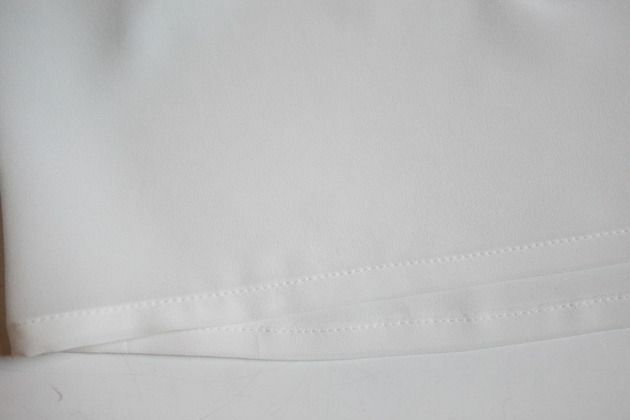 For View A I made a simple white version in some silk crepe de chine from Chic fabrics here in NYC. 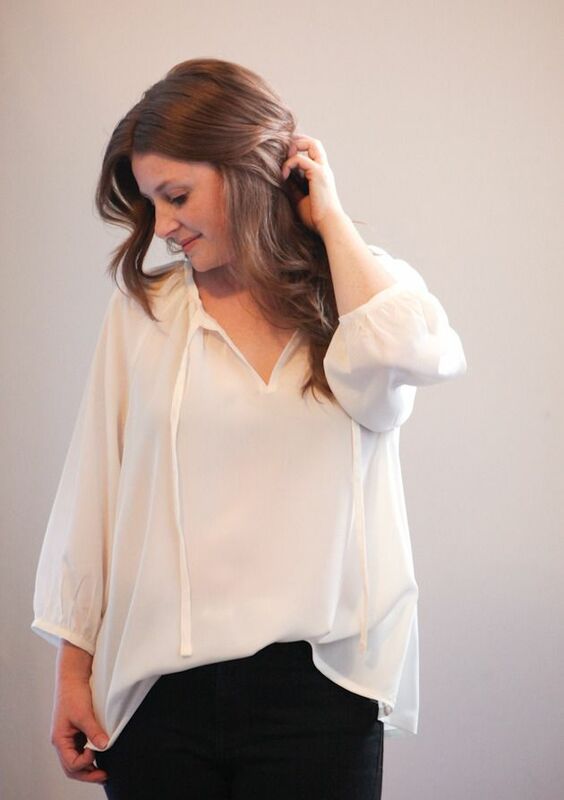 I love this basic wardrobe staple and plan to dress it up and down constantly this fall and winter. 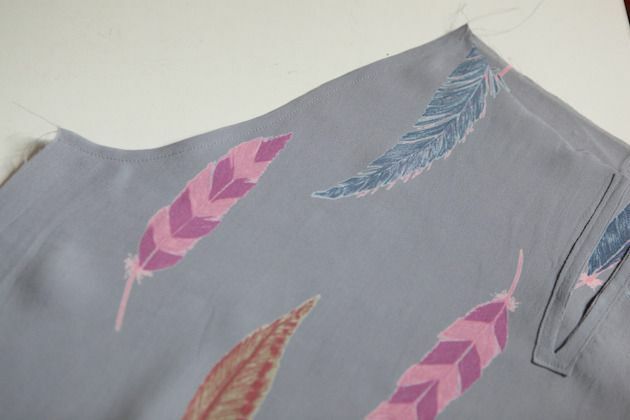 For View B I made a mini dress in some feather print rayon crepe that I bought off of here on etsy earlier this year. 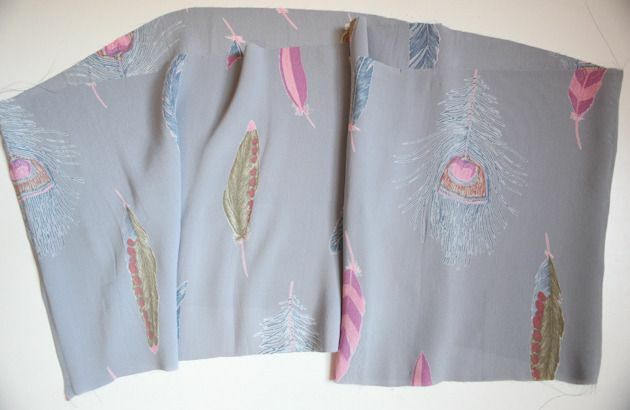 I wish that they still had some because I love this fabric. The only regret that I have is that it more of a spring / summer print so I will have to wait until then to wear it. I still want to make a version in a darker fabric that i can wear with black tights and boots. It’s on the sewing list. I would love to see your versions of the Roscoe Blouse or Dress as well. You can tag them #roscoeblouse or #roscoedress to point them my way. It’s the last day of the sewalong and it’s just going to be a quick post about the ruffle and hemming your Roscoe blouse or dress. You are so close to being done. Step 26 is for View A (blouse) only. If you are doing View B or C then skip to Step 27. 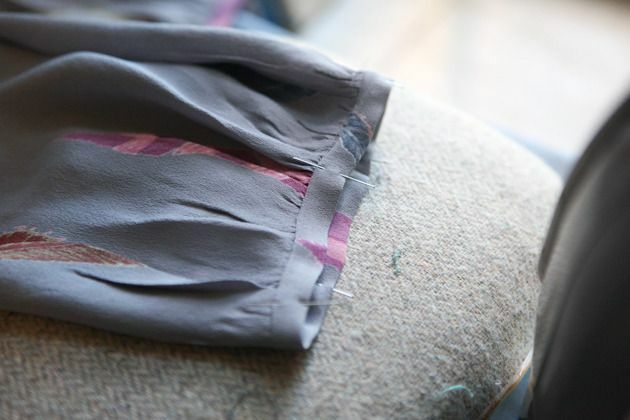 Step 26 – Finish the hem of your blouse by turning up the bottom raw edge by 1/4” with wrong sides together. Press. Turn it up again another 1/4”. Press and pin. 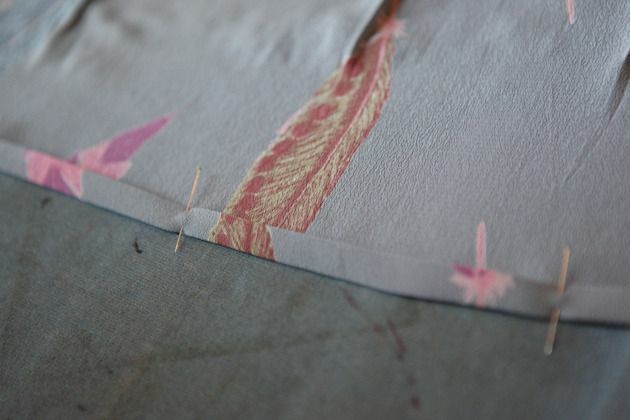 Edgestitch along the entire folded edge to secure the hem, backstitching at both ends. Congrats! You are finished with your blouse! 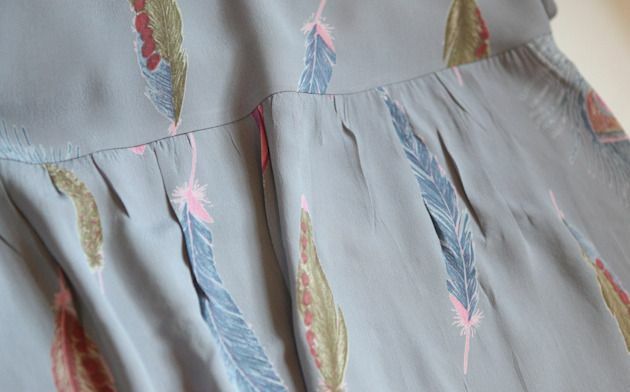 Now to finish up Views B and C.
Step 27 – Take your two ruffle pieces and line them up with right sides together. Pin the short ends together on both sides. Stitch at normal 1/2” seam allowance, and finish seam allowances in desired manner (I used a french seam). 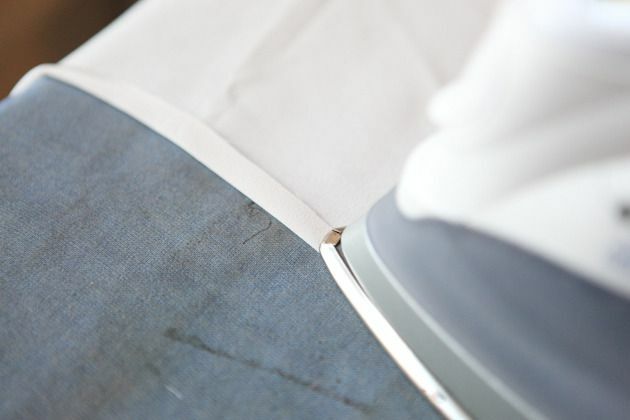 Press seam allowances open or towards the back panel depending on your finishing method. You should now have a tube of sorts like the one below. 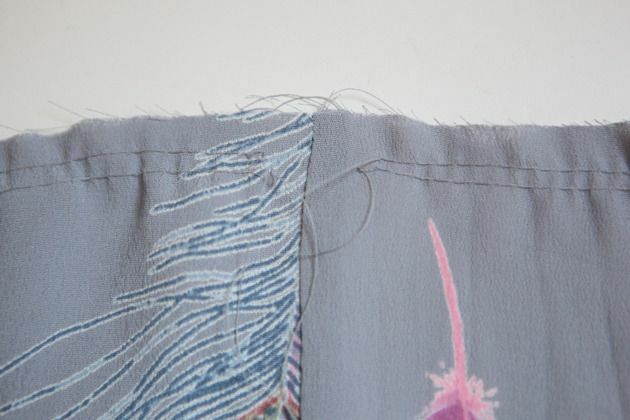 Step 28 – Gather the top, notched edge of the ruffle by sewing two rows of basting stitches, one at a scant 1/2” and the other at 3/8”, from the raw edge. Sew two rows on the front panel and two rows on the back panel separately, starting and stopping just outside of each side seam. Do not backstitch on any of the basting stitches. This is what it looks like at the side seams. 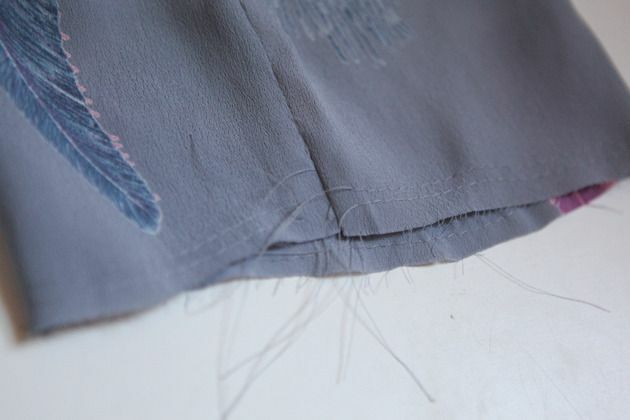 Step 29 – Gather up the basting stitches and evenly distribute the ruching. 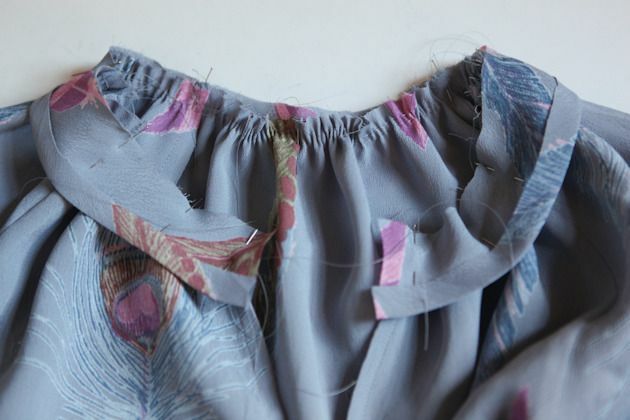 Pin the gathered edge of the ruffle to the bottom raw edge of the blouse portion of your dress, right sides together (or wrong sides together first if you are doing french seams), matching notches and side seams. Pin. 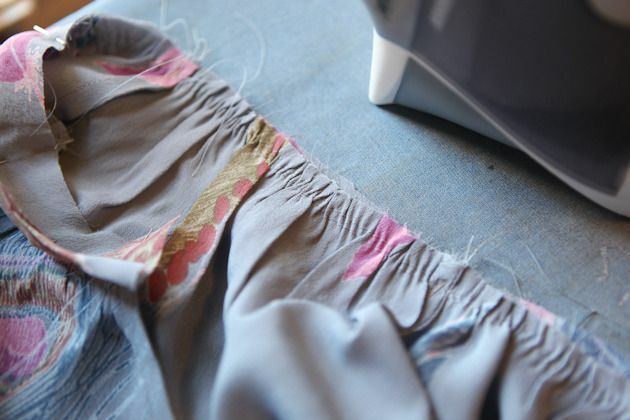 I find it easiest to control the ruching if I give it a good press before stitching. 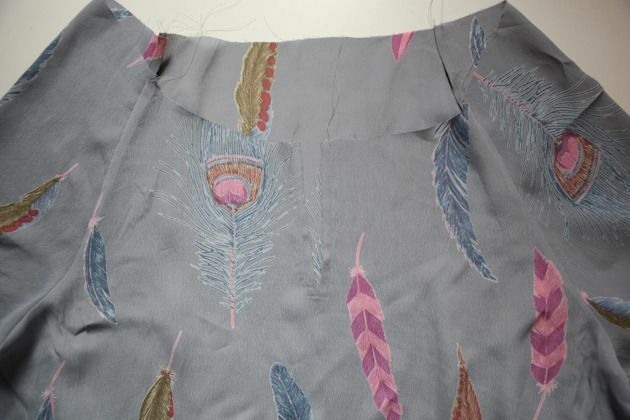 Step 30 – Finish the seam allowance in your desired manner (I used a french seam). Press the ruffle down and away from the rest of the dress, and the seam allowance up and away from the ruffle. 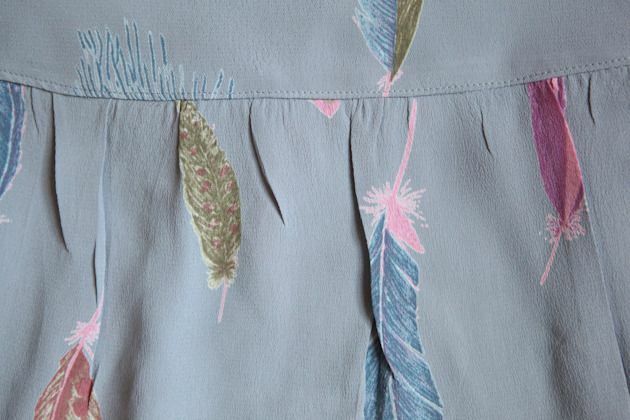 On the right side of your dress, topstitch 1/8” above the seam where the ruffle and blouse portions connect, catching the seam allowance underneath. 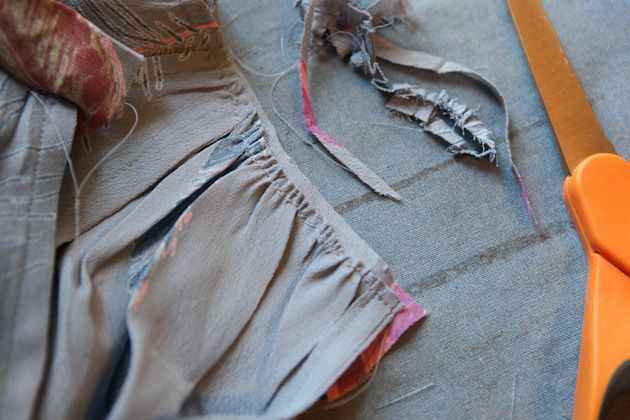 Step 31 – Finish the hem of your dress by pressing the raw edge up towards the wrong side of your garment by 1/4”. Turn it up again by 1/4” . Pin and press. Edgestich along this folded line to secure. Congrats and I hope you love your blouse or dress. I havn’t had a chance to take photos of my makes for the sewalong yet, but will post them on Monday. Can’t wait to see yours. Be sure to tag them with #roscoeblouse or #roscoedress so that I can have a look. Today should be a pretty short and easy day. We are going to gather and attach the sleeve binding, almost exactly like we did for the neckline, except this time in the round. Step 19 – Take your sleeve bands and fold them in half widthwise so that the two short ends are touching, right sides together. Stitch at 1/2” seam allowance. Trim to 1/4”. Press seams open. 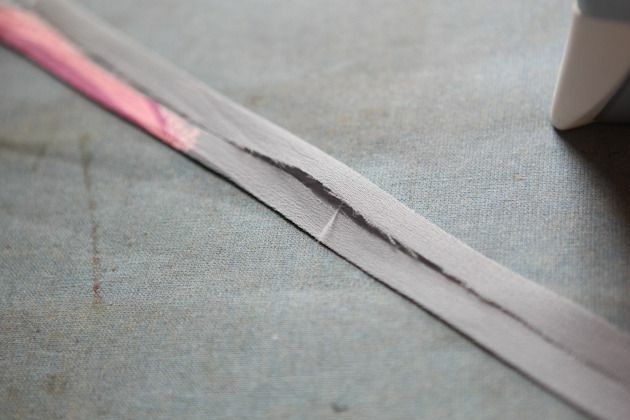 Step 20 – Take the unnotched edge of one sleeve band and press it at 1/2”, with wrong sides together. Repeat for the other sleeve band. 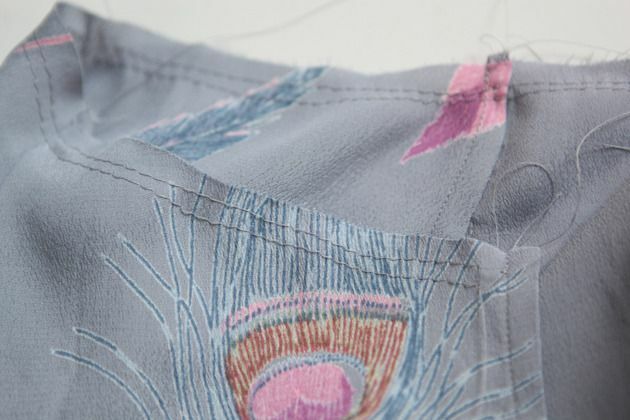 Step 21 – Starting and stopping on either side of the underarm seam, stitch a basting stitch at a scant 1/2” from the raw edge of each sleeve. (Do not backstitch on either end). Stitch another basting stitch parallel to the first, at 3/8” from the raw edge. 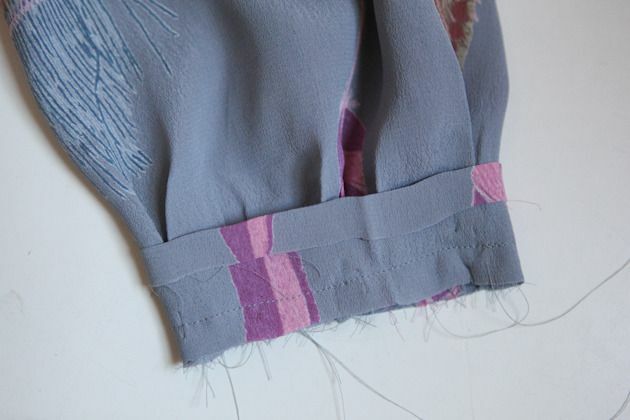 Step 22 – On one sleeve, gather your basting stitches so that the ruching is uniform around the sleeve opening. 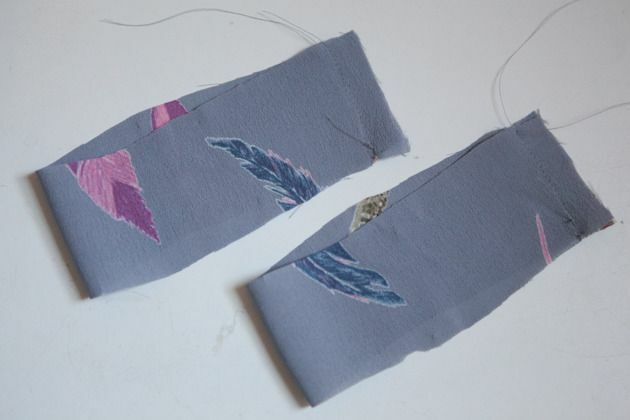 Pin the notched edge of the sleeve band to the bottom of the sleeve, with right sides together. 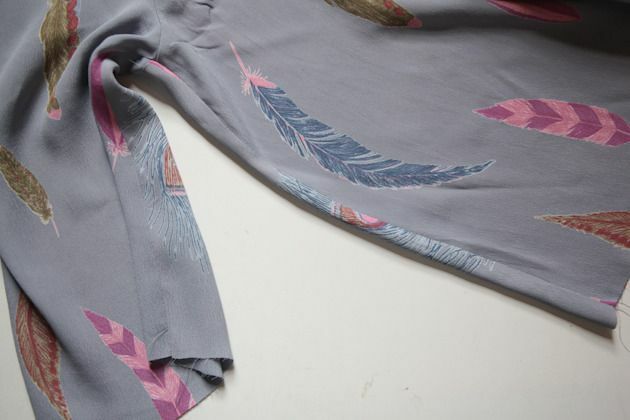 Match the notches to one another and the underarm seam to the the sleeve band seam. Pin and stitch at 1/2” seam allowance. 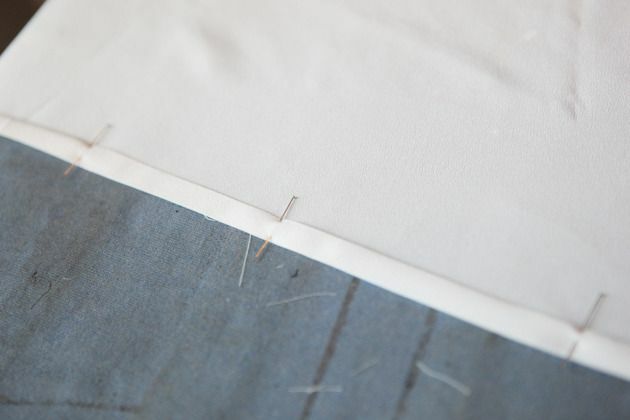 Trim the gathered sleeve seam allowance to 1/4“ and the band seam allowance to 3/8” to reduce bulk in the binding. 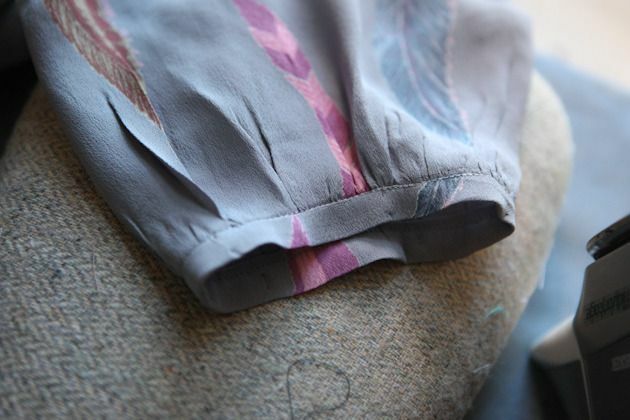 Step 23 – Press the sleeve band away from the sleeve and over the seam allowance. Step 24 – Take the folded edge of the sleeve band and pull it to the inside of the sleeve until it covers the seam by about 1/16”. Pin and press. 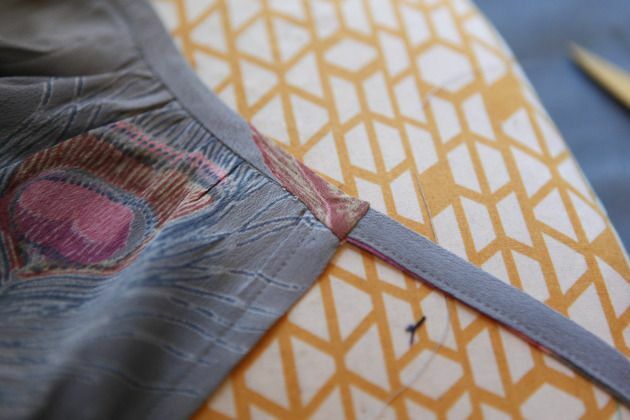 Do this slowly and patiently adjusting as needed to make sure that the binding is visually uniform all the way around. It should look something like this once you are done. That’s all for today. Tomorrow we finish our blouses and dresses! Today we are going to finish up the neckline of your blouse and dress. It’s super satisfying, but also probably the most difficult part of the process technically. Today it’s all about being precise and going slow. Unpick if necessary and stitch again. You will be so happy if you do. 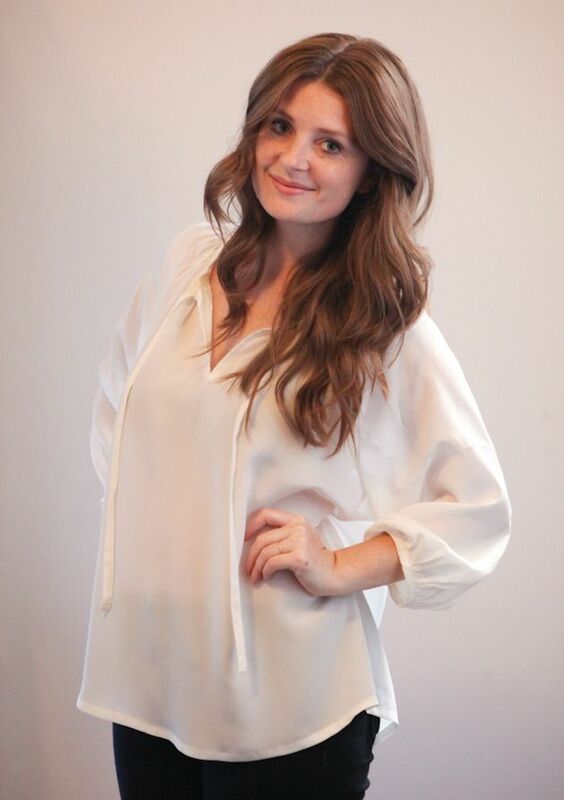 The neckline is really the focus of this blouse / dress and getting it right is so worth the extra effort. This is a very photo heavy post so hopefully it’s very clear and goes smoothly for you. 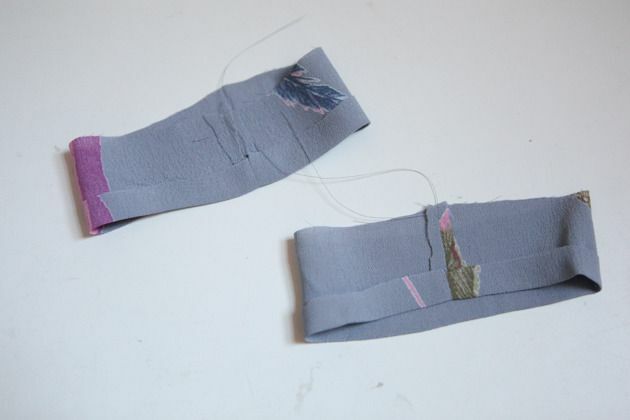 Step 8 – First, let’s make the neckties. 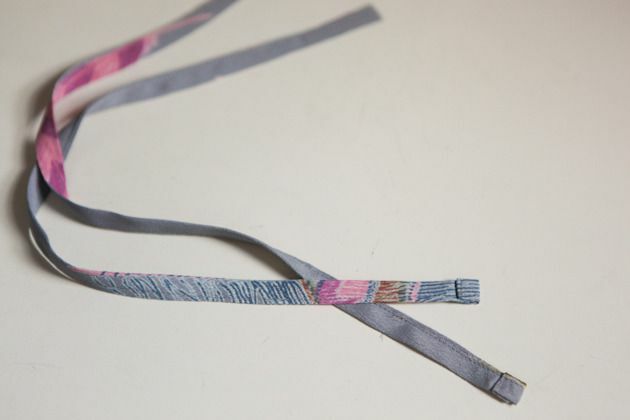 Take your necktie pieces and fold them in half lengthwise, wrong sides together. Press. 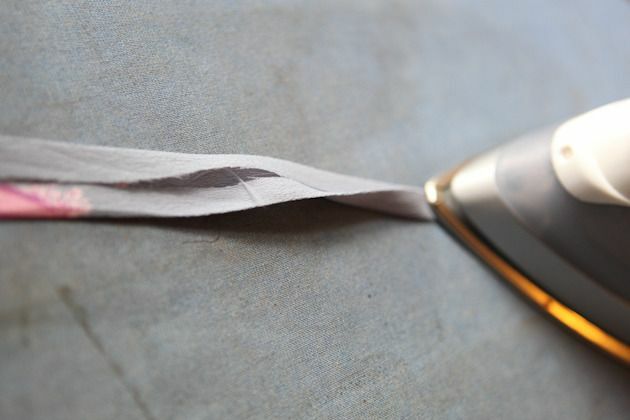 Open them back up and take the two long raw edges and fold them back into the crease you just made. Press. Fold along the middle crease again. Edgestitch along the long open edge. Step 9 – Finish one end of each necktie by folding it 1/4”, pressing, folding it another 1/4”, pressing, and stitching to secure. 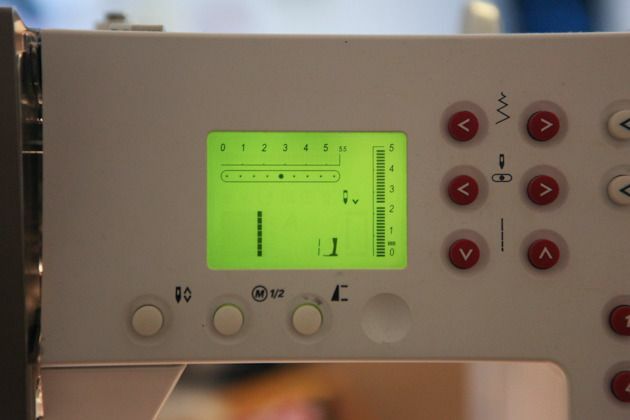 I know that this can be a bit fiddly and hard to sew on your machine. I find that if I put a piece of masking tape down once it’s folded and sew through that, that it’s a lot easier. Once you are finished, give them and good press and set your neckties aside. 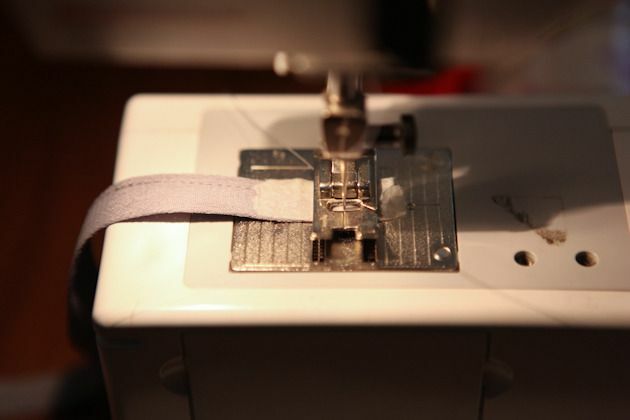 Step 10 – Change the stitch length on your sewing machine to the longest stitch for basting stitches. Starting and ending 1/4” from the edge of the neckline facing stitching at center front, baste around the entire neckline at a scant 1/2”. (Do not backstitch at either end.) Sew another line of basting stitches parallel to the first at 3/8” seam allowance. 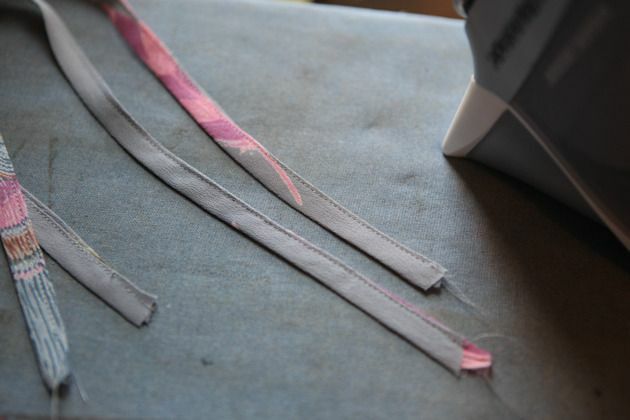 Step 11 – Prepare your neckline binding by folding the long, unnotched edge at 1/2”, with wrong sides together. Press. 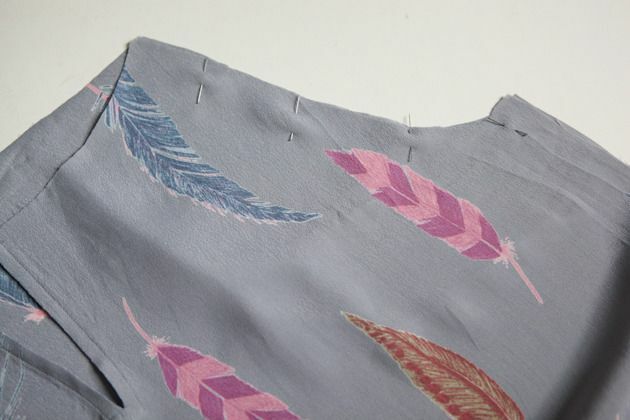 Step 12 – Gather the neckline along the basting stitches. Pin the neckline, right sides together, to the neckline binding along the unfolded edge, with 1/2” extending at each center front. 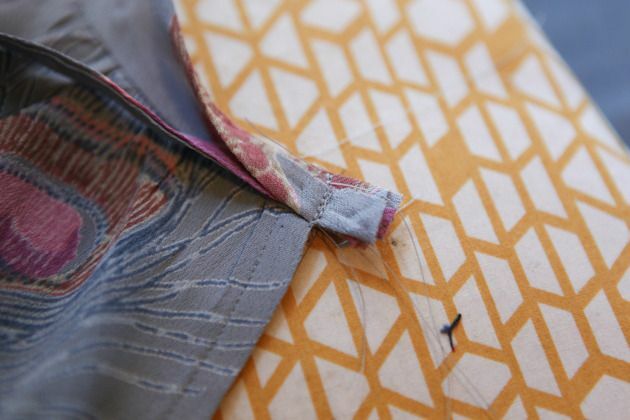 Match the notches on the binding to each of the seams on the neckline of the blouse. 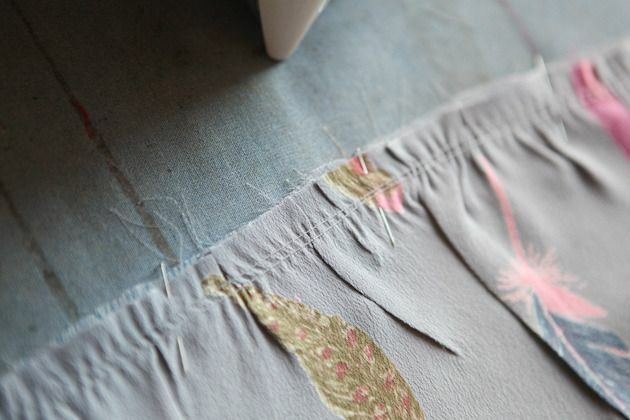 I find it a lot easier to control the gathering while I stitch if I give it a press first. Stitch at 1/2” seam allowance. Trim the gathered blouse seam allowance to 1/4“ and the binding seam allowance to 3/8” to reduce bulk within the neckline. 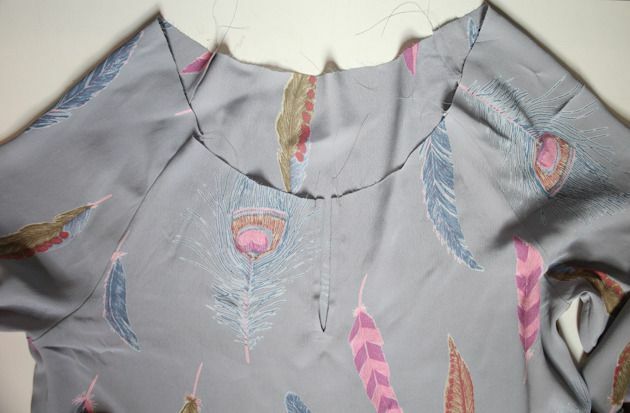 Step 13 – Press the neckline binding up and away from the blouse around the entire neckline. On the right center front of the neckline, pin the unfinished end of one necktie piece flush with the neckline binding edge. 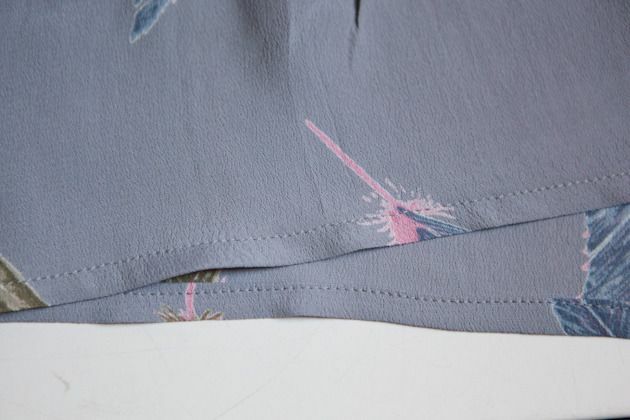 Step 14 – Now take the folded edge of the neckline binding and fold it down, right sides together, so that the folded edge overlaps the seam where the binding meets the blouse by about 1/16” (this is important so that you still have some extra binding on the inside of the blouse to stitch down). The necktie will be sandwiched in-between. Pin. Step 15 – Stitch down at a scant 1/2” seam allowance at center front so that your stitches are just past the edge of your center front slit. This somewhere that you want to be very precise so that you have a nice, clean angle at center front. 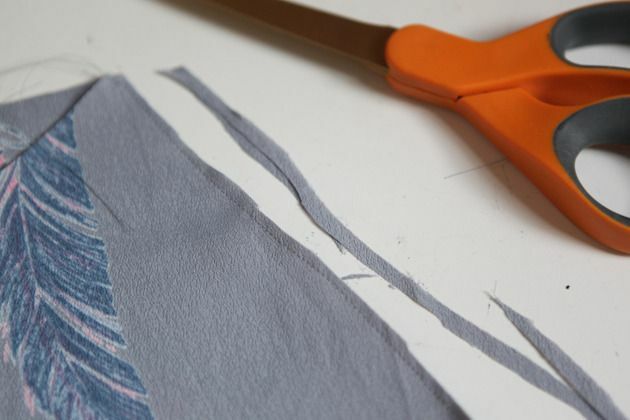 Trim the seam allowance to reduce bulk. 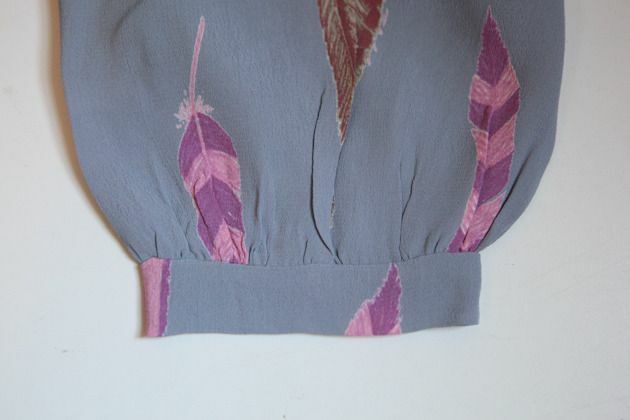 Step 16 – Turn the corner right side out so that the necktie is now on the outside of the blouse at center front. Adjust the corner so it has a nice point and press. Repeat for the other side of the neckline. Step 17 – Take the folded edge of the neckline binding and pull it to the inside of the neckline until it covers the seam by about 1/16”. Pin generously. 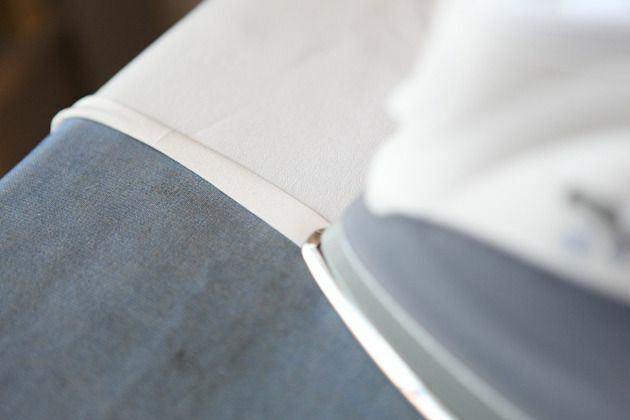 Press on a curved surface such as a tailor’s ham to support the curve of the neckline and prevent wrinkles. The goal is that on the right side of your blouse, that the neckline binding is the same width as the necktie. On the inside it should be that same width, plus about 1/16 – 1/8″. If it is off in places then you will want to adjust as necessary at this point. 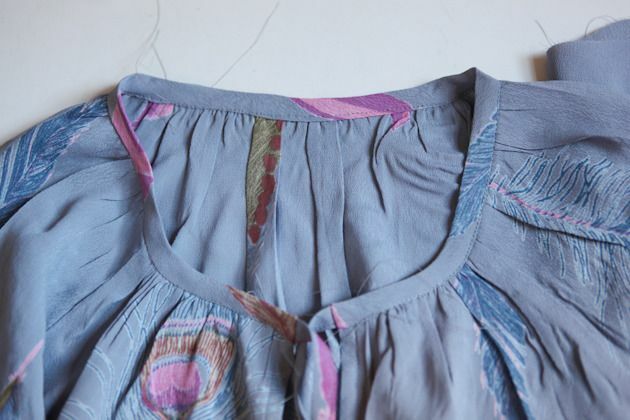 Step 18 – On the right side of your blouse, stitch in the ditch where the blouse meets the neckline binding, catching the underside of the neck binding underneath. Go slowly and be as accurate as possible. 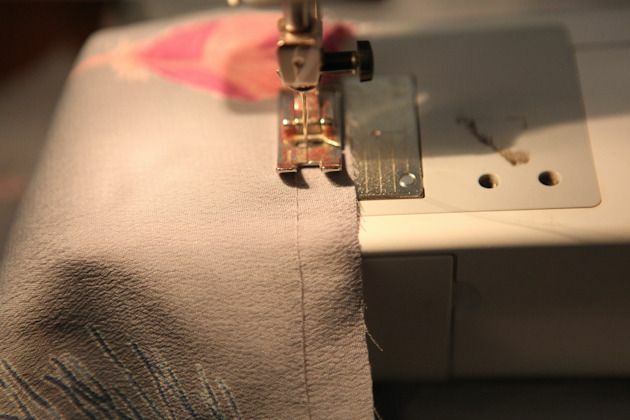 If you stitch right in the “ditch” then the stitching should be almost invisible. 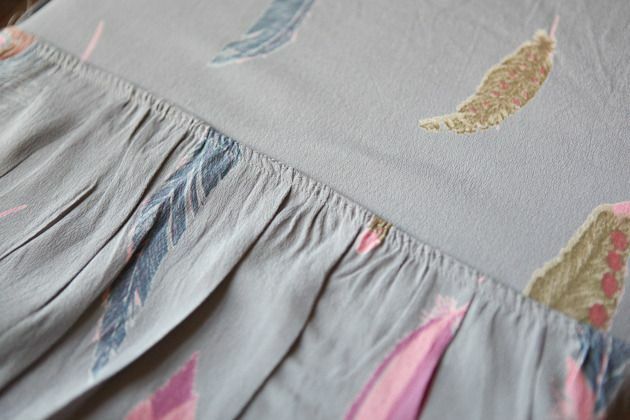 You can also choose to hand sew this on the inside instead for a more high end finish. 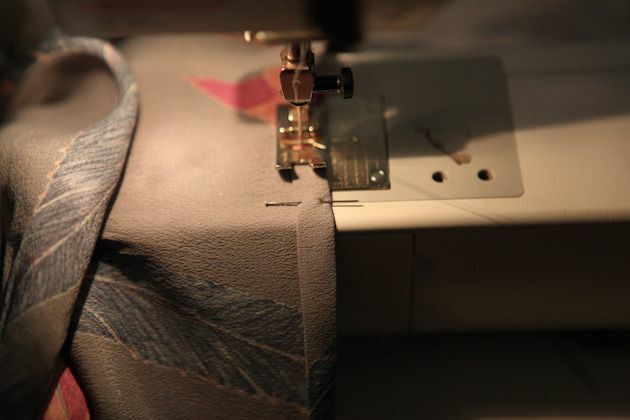 Backstitch securely on both ends and press on a curved surface. Well done. We are finished for today. See you tomorrow. Welcome back for day 2 of the Roscoe Blouse and Dress Sewalong. By the end of today it will start to resemble a real item of clothing which is always fun. 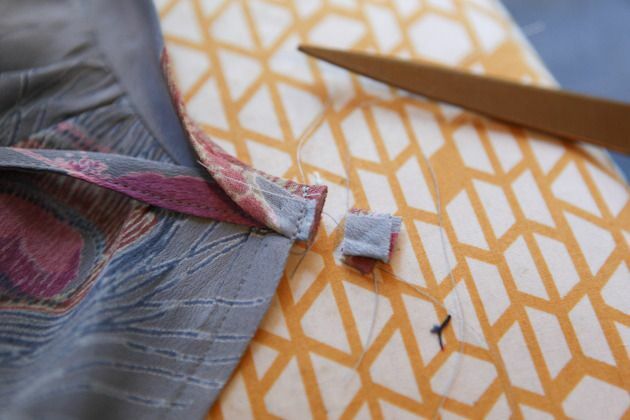 Before we start sewing you need to decide on a method for finishing your seams. I highly recommend using french seams as they work really well for lightweight woven fabrics like the ones used for this pattern. 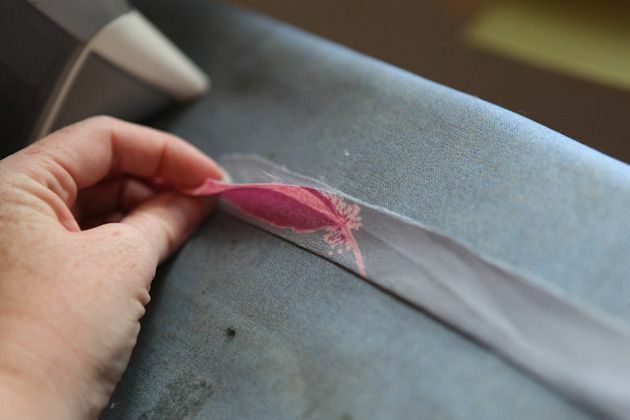 Other options are serging or using pinking shears. I will be using french seams and will be showing the process in the sewalong steps, but feel free to use whatever method you prefer. Step 5 – Now it’s time to attach the front to the sleeves. If you are serging or pinking then match the armhole portion of the front to one sleeve with right sides touching, matching notches. Pin. 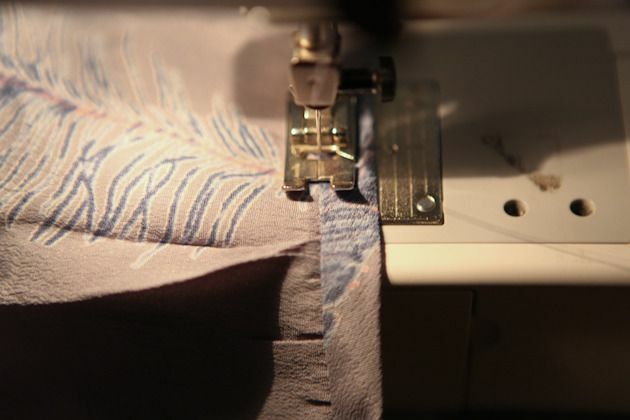 Stitch at 1/2″ seam allowance. Finish the seam allowance and press the seam allowance open or away from the sleeves and towards the bodice. Repeat for the other sleeve and skip the next 5 pictures, picking back up at the beginning of step 6. 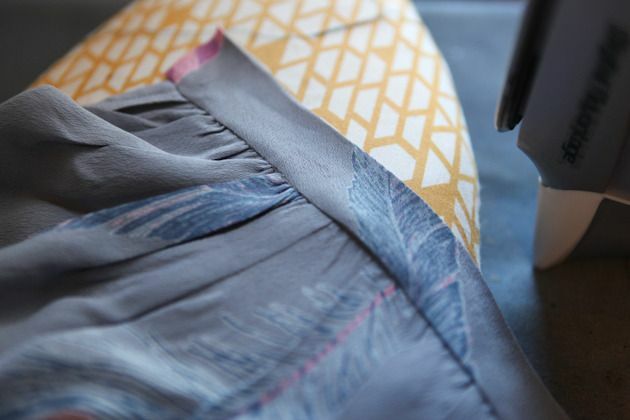 If you are doing a french seam then the method will be a little different. Match the armhole portion of the front to one sleeve with wrong sides touching. Pin. Stitch it at 1/4″ seam allowance. 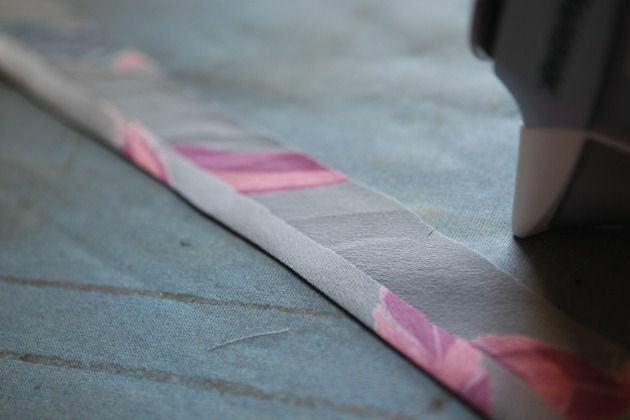 After stitching at 1/4″ seam allowance, trim the seam allowance down to 1/8″. 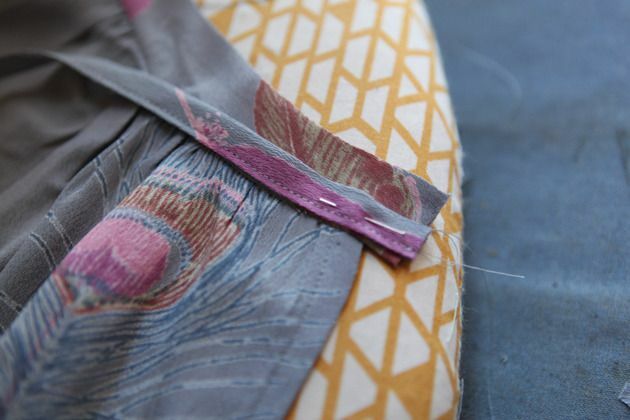 Press the seam flat with the trimmed seam allowance going to one side. 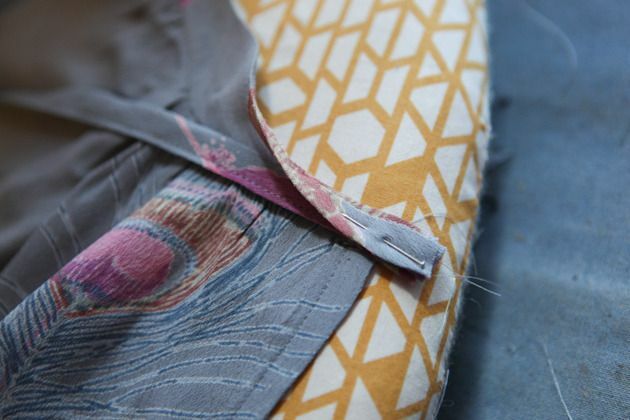 Now press the seam flat with right sides touching. 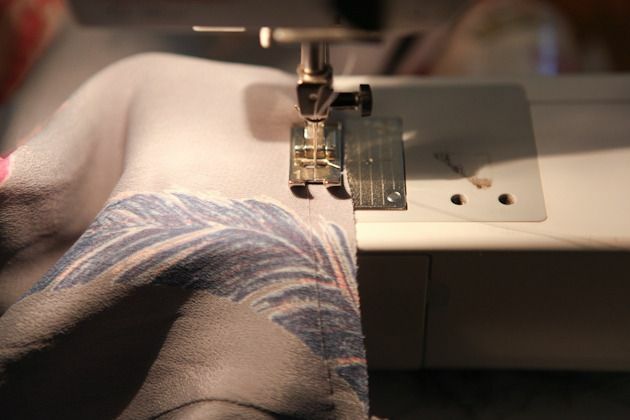 Stitch at 1/4″ seam allowance, encasing the trimmed seam allowance so it’s no longer visible. Repeat for the other sleeve. 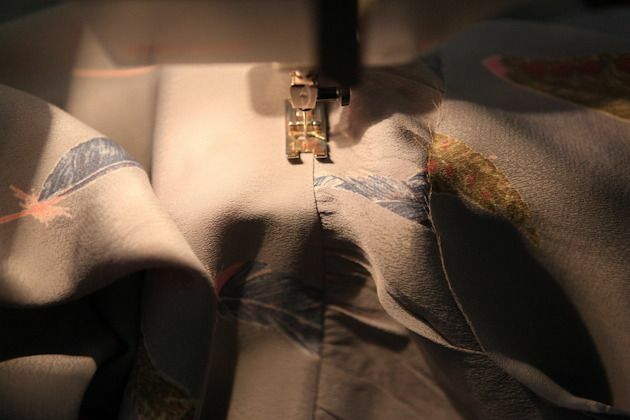 Press seam allowances towards the bodice and away from the sleeve. 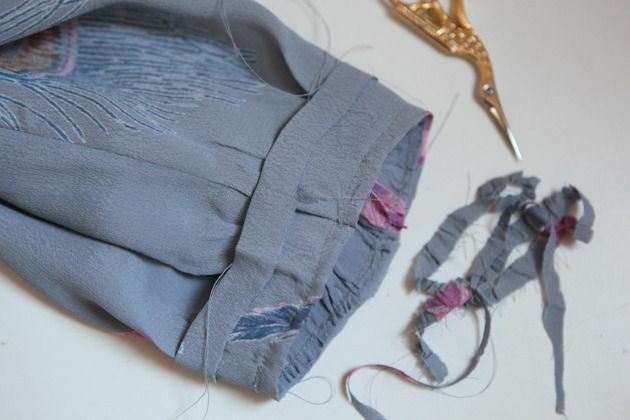 Step 6 – Attach the back to the sleeves in the same manner as the front. 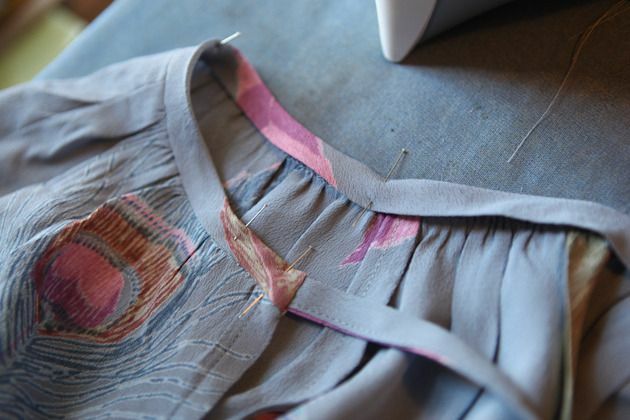 Finish the seam allowances on both the front and back of the armholes in your desired manner. 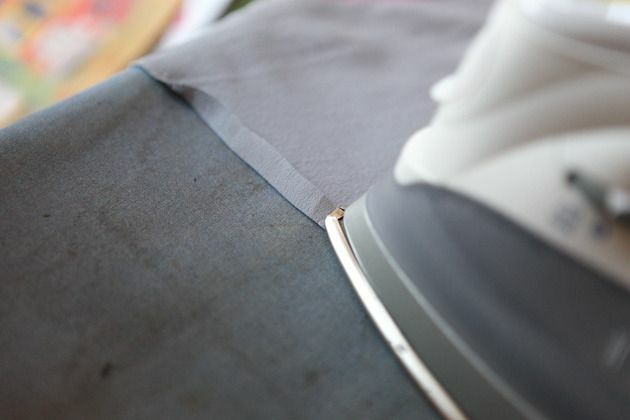 Seam allowances should either be pressed open or away from the sleeves depending on your finishing method. This is what the neckline should look like when you are at the step. At this point is resembles a poncho of sorts. 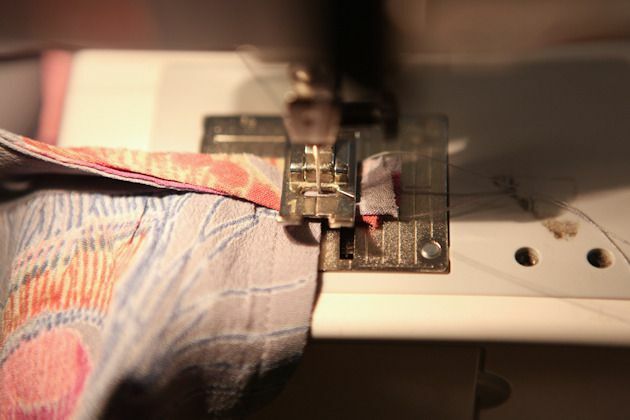 Step 7 – Now we are going to sew up the sleeves and sideseams in one step. Starting at the sleeve opening and ending at the bottom of the blouse / dress, pin the sideseams together, matching notches and seams. 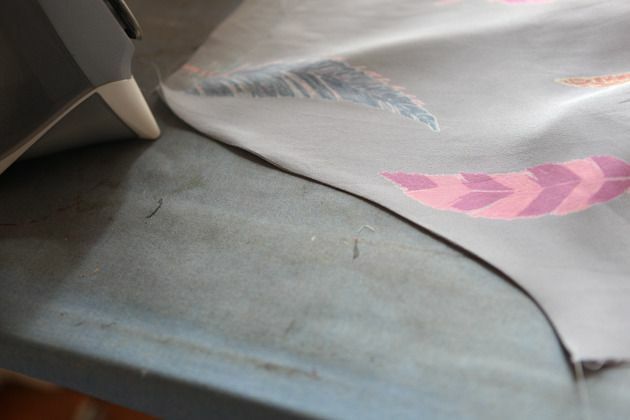 Stitch and finish the seam allowances in your desired method as you did in the step above. 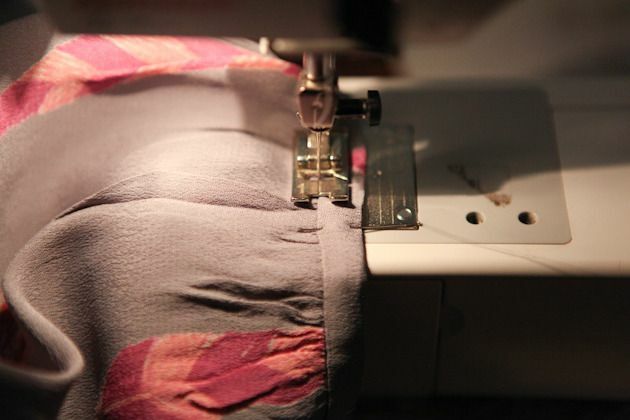 Press the seam allowances open or towards the back of your garment depending on your finishing method. 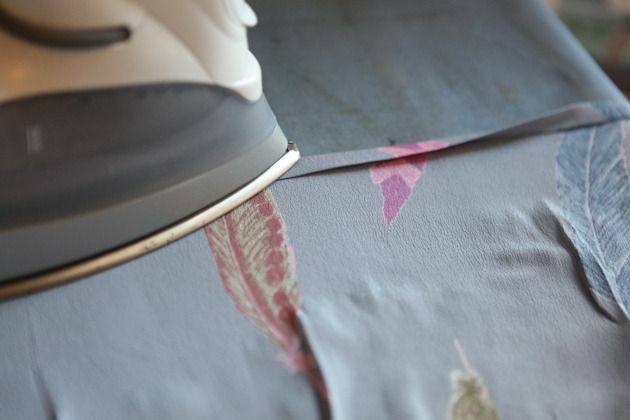 This is what the top of your blouse or dress should look like at this point. Tomorrow we will finish up the neckline so it really starts looking put together.